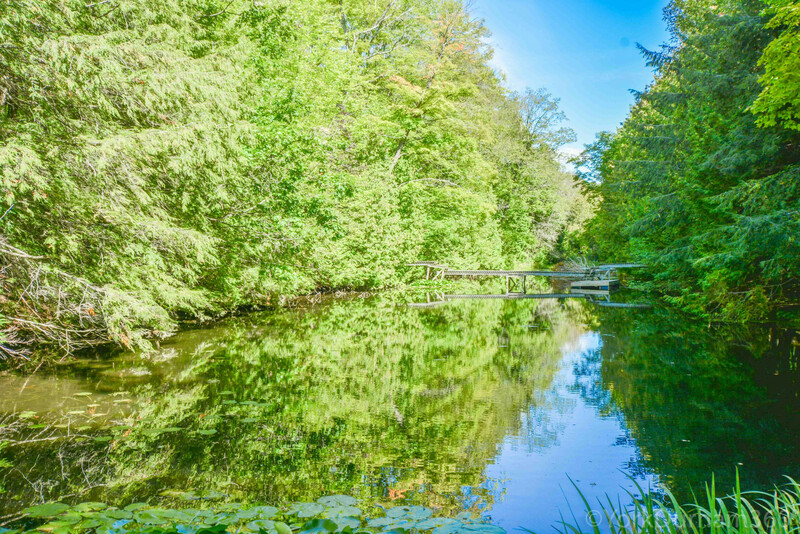 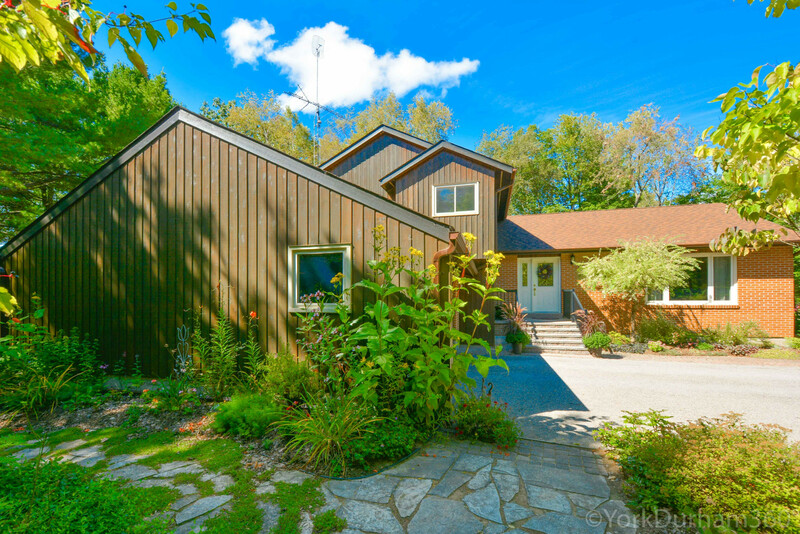 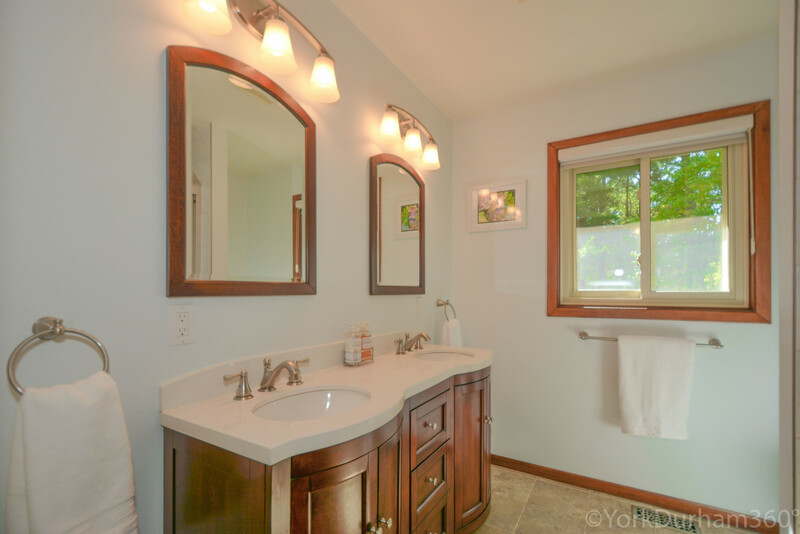 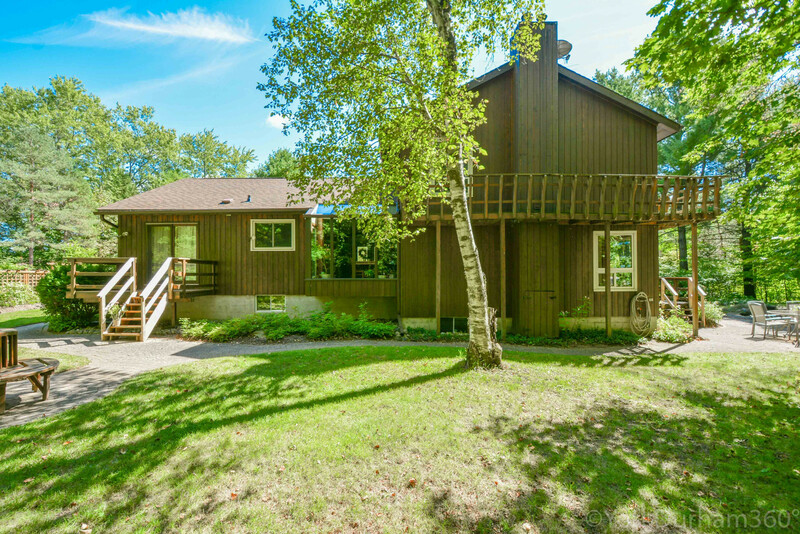 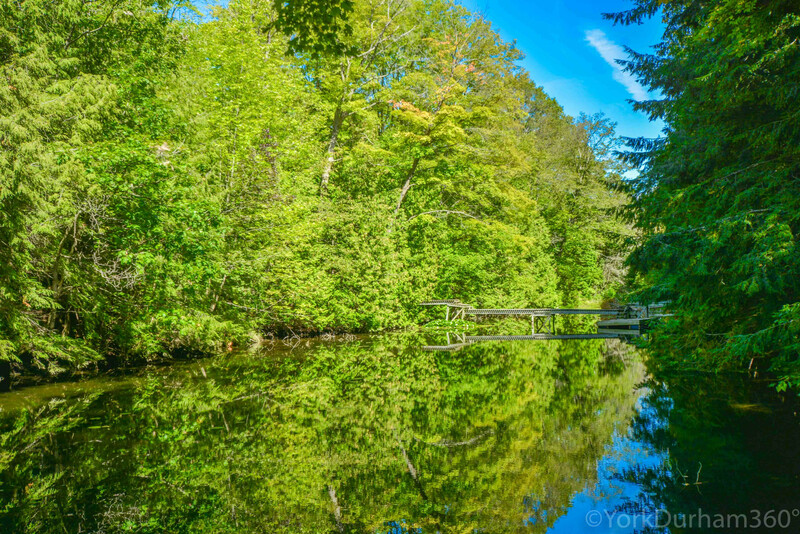 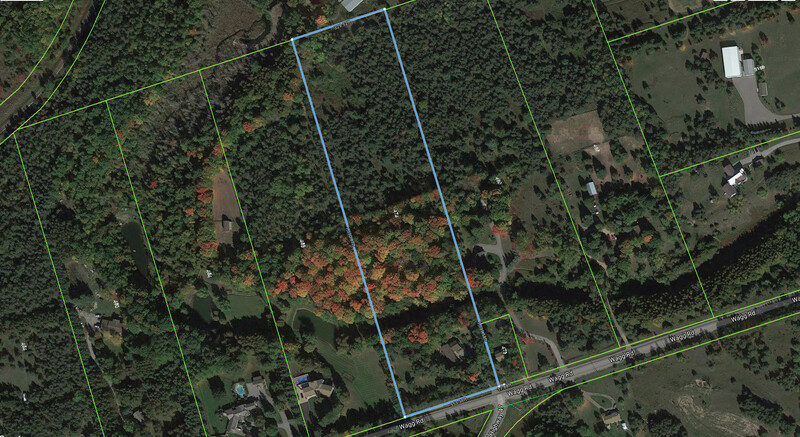 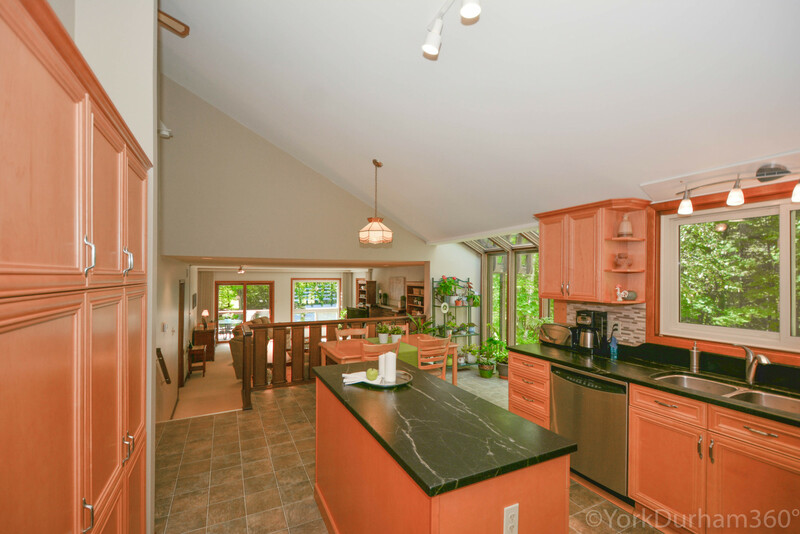 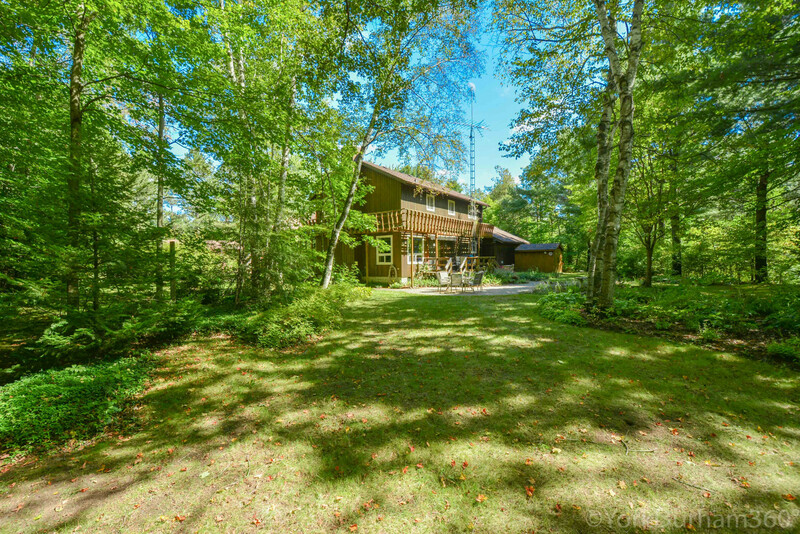 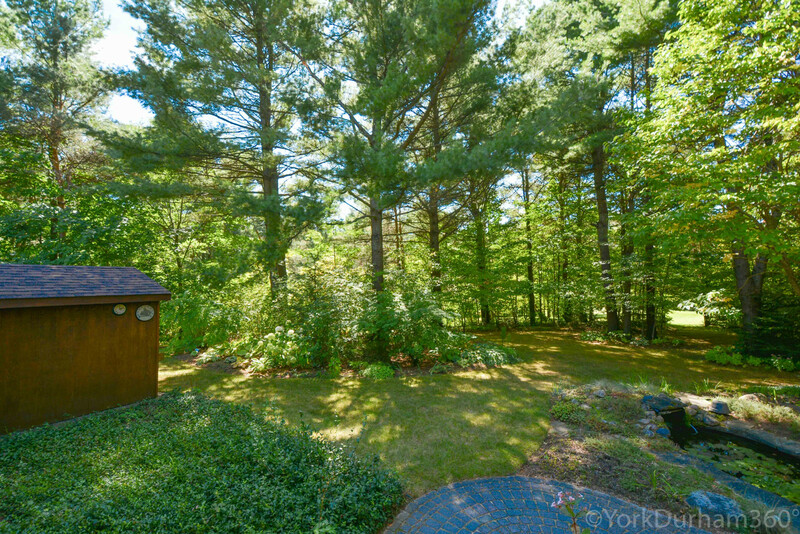 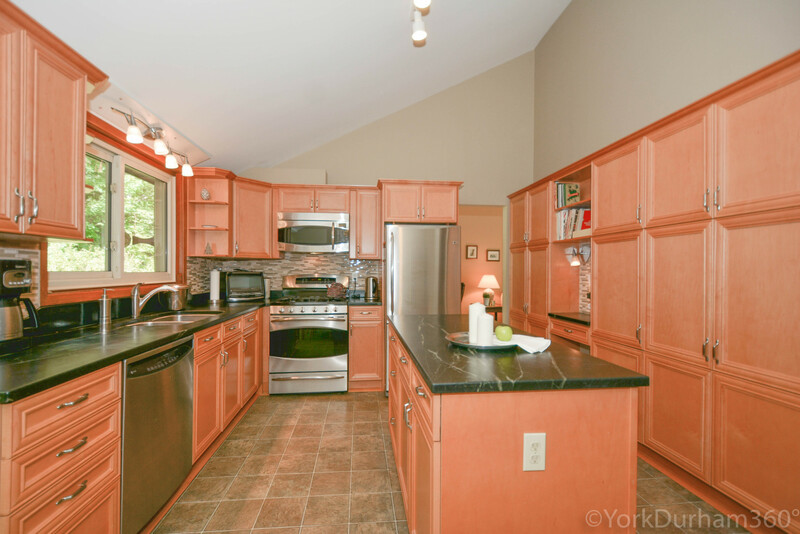 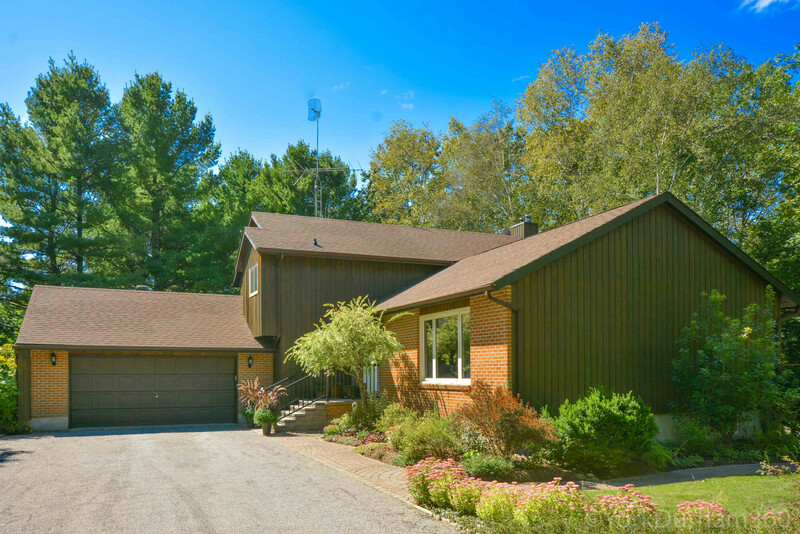 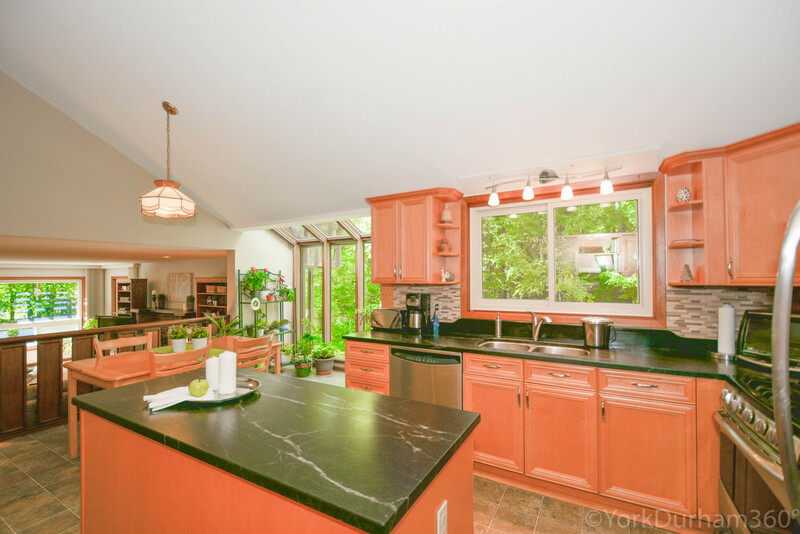 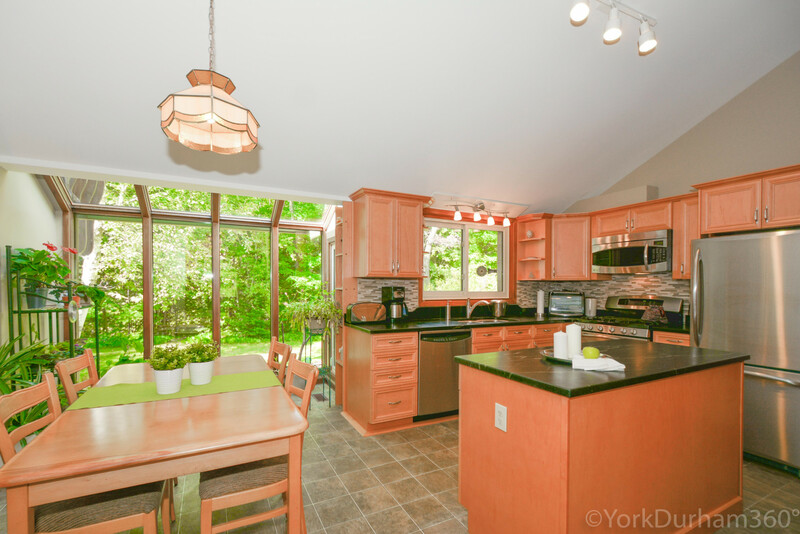 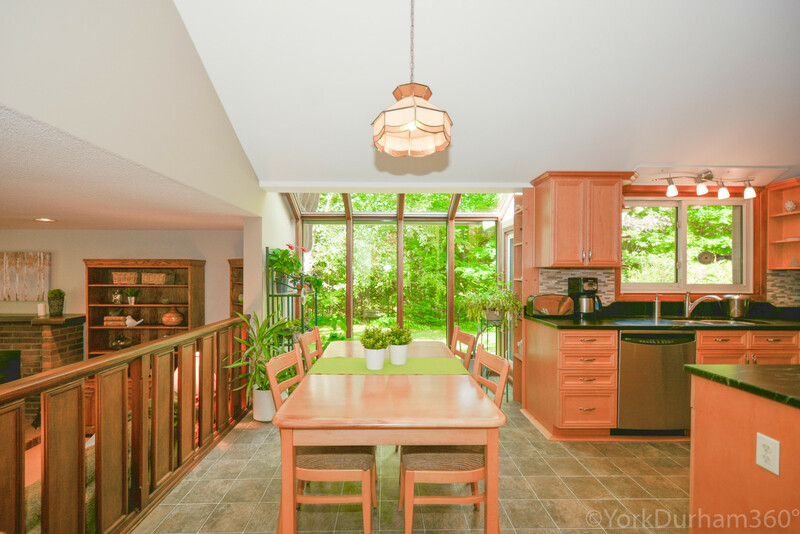 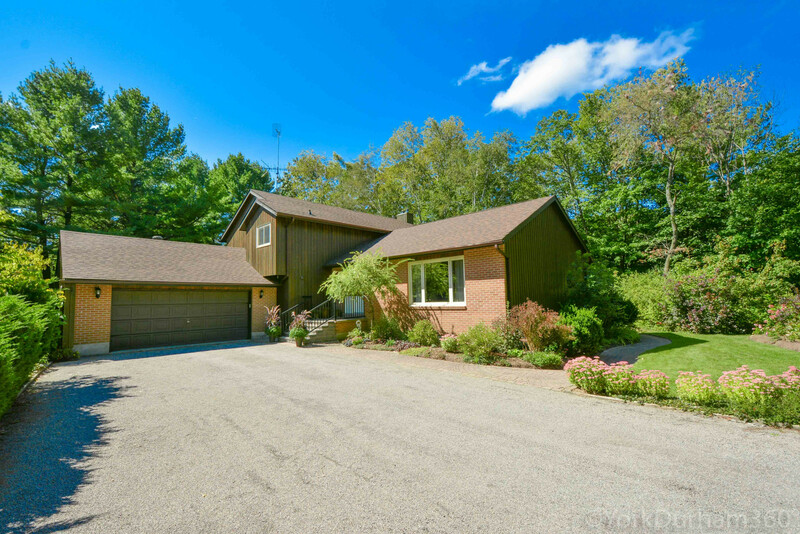 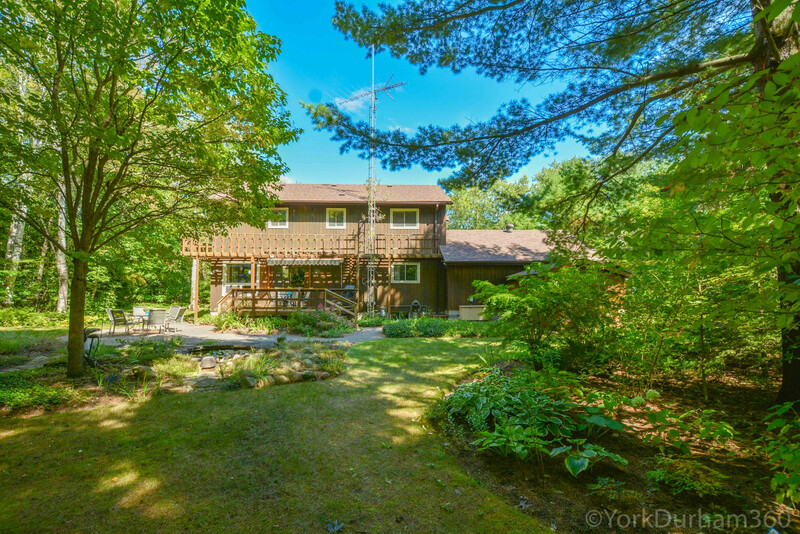 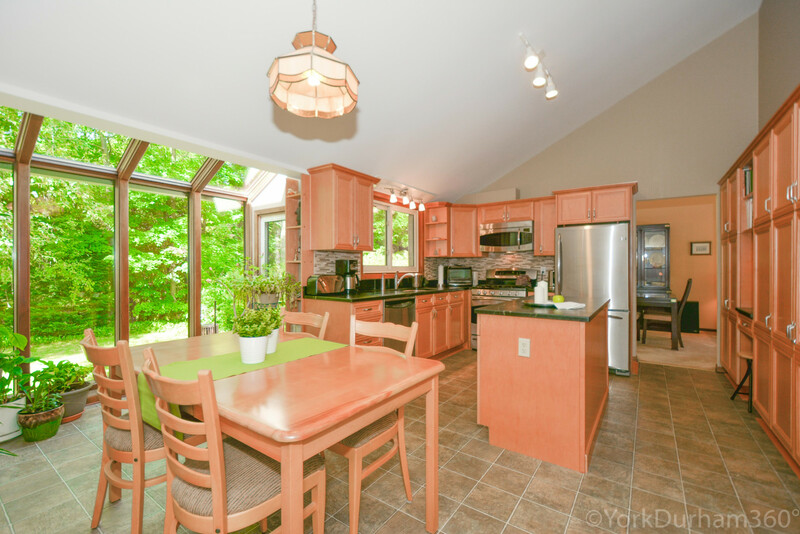 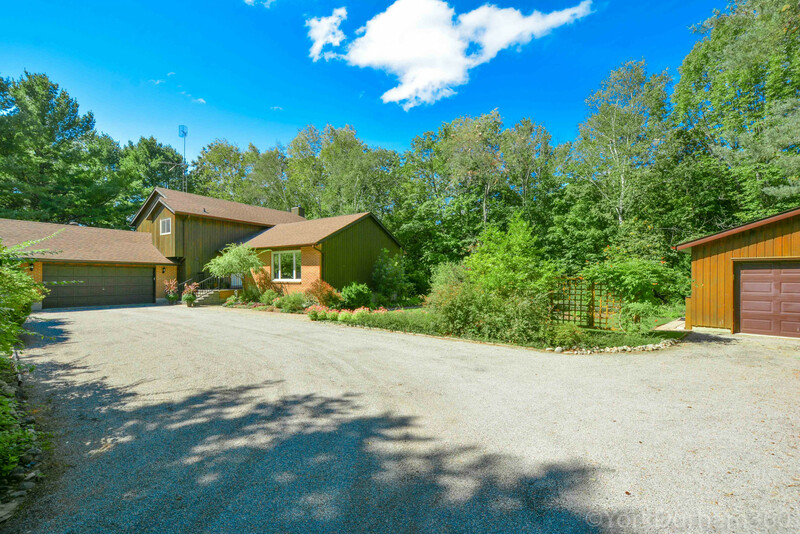 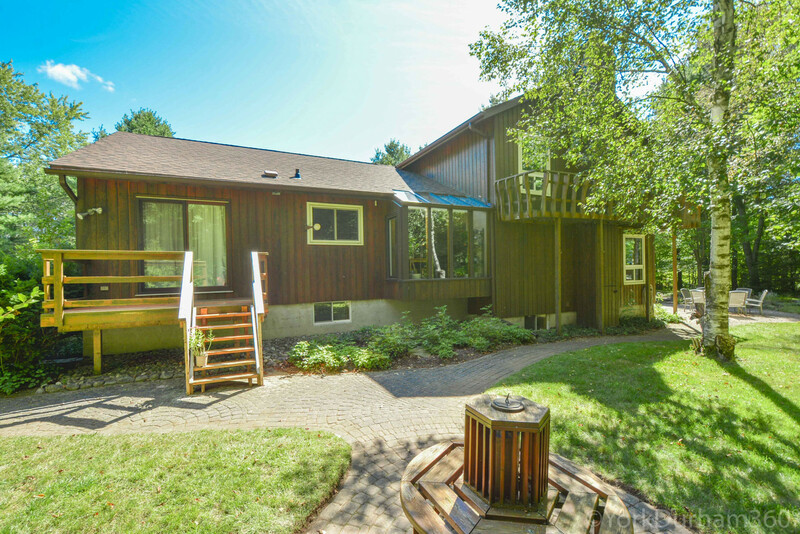 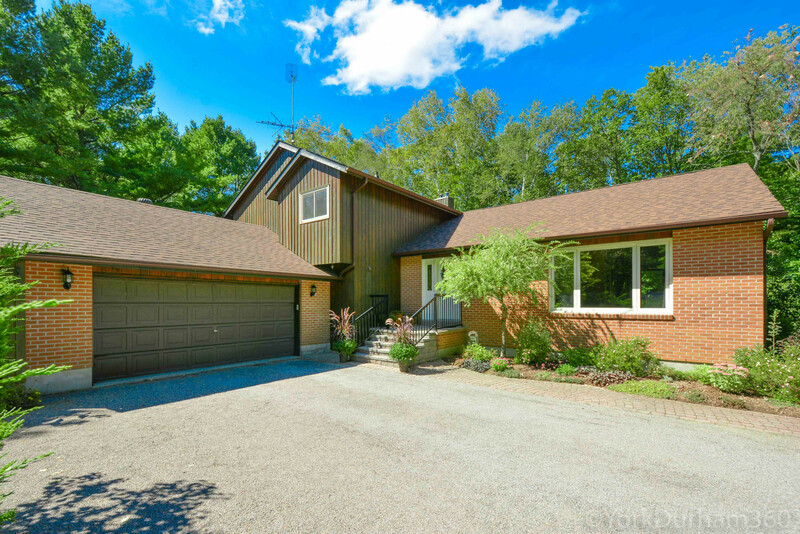 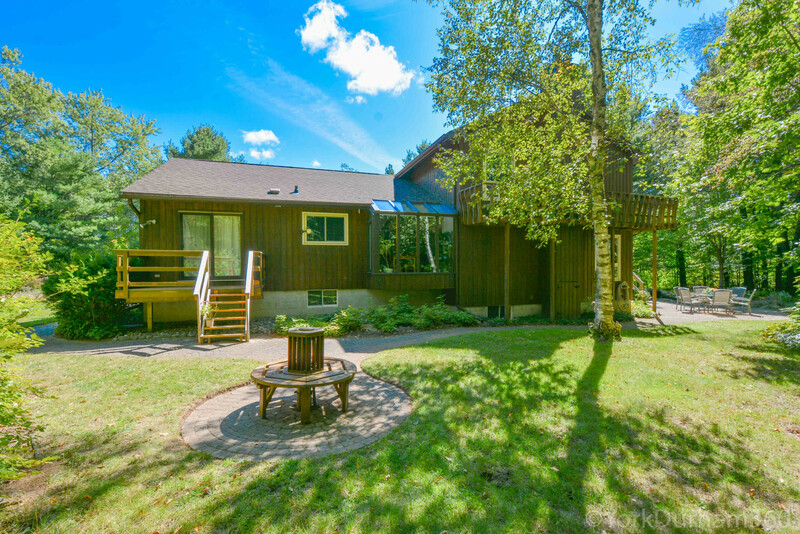 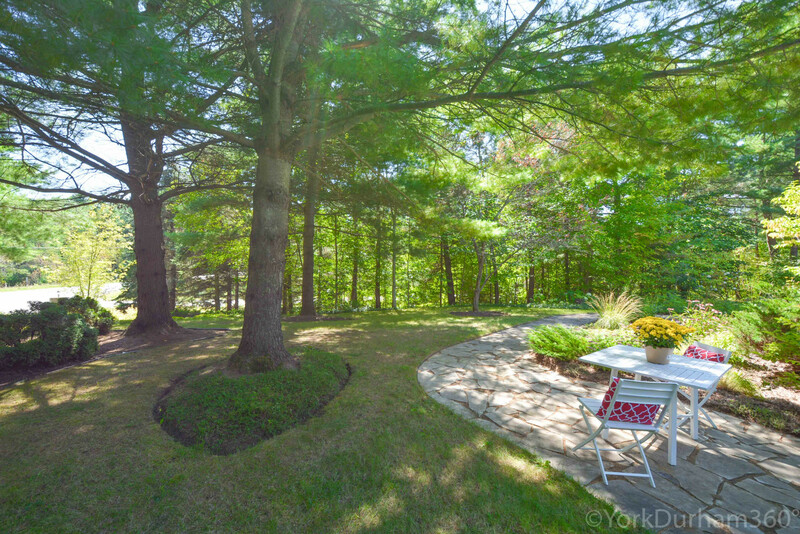 The Home Sits On A Unique Park-Like 10-Acre Parcel Featuring, Mature Trees Including A Mixed Forest, Manicured Lawns, Perennial Gardens, Pond And Stream Which Connects To The Headwaters. 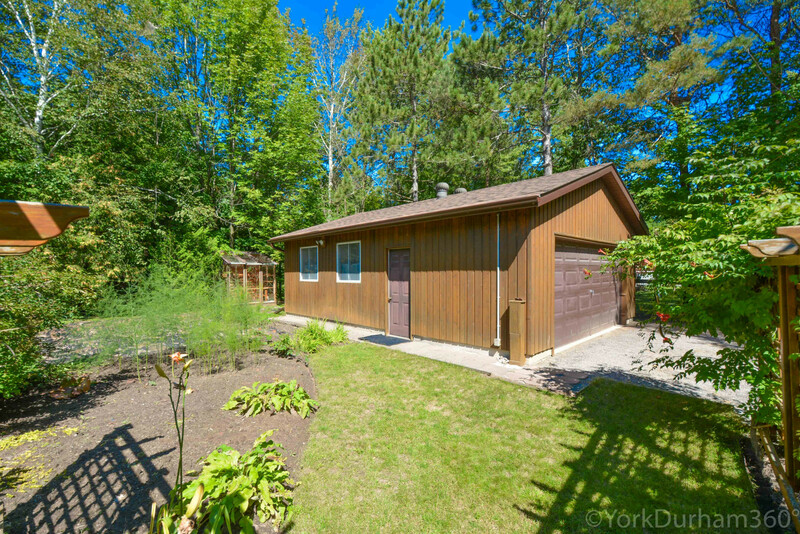 A Fully Insulated And Gas Heated Workshop Garage Provides Many Potential Uses For Home Based Business, Woodworking, Machinery, Vehicle Storage Including ATVs, Boats & Collectable Cars, Etc. 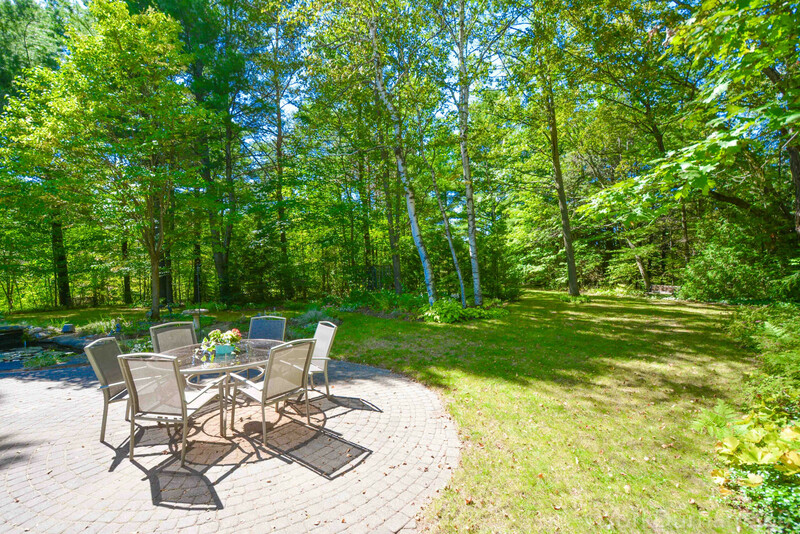 Other Outdoor Structures Include A Greenhouse, Garden Shed & Small Tree House. 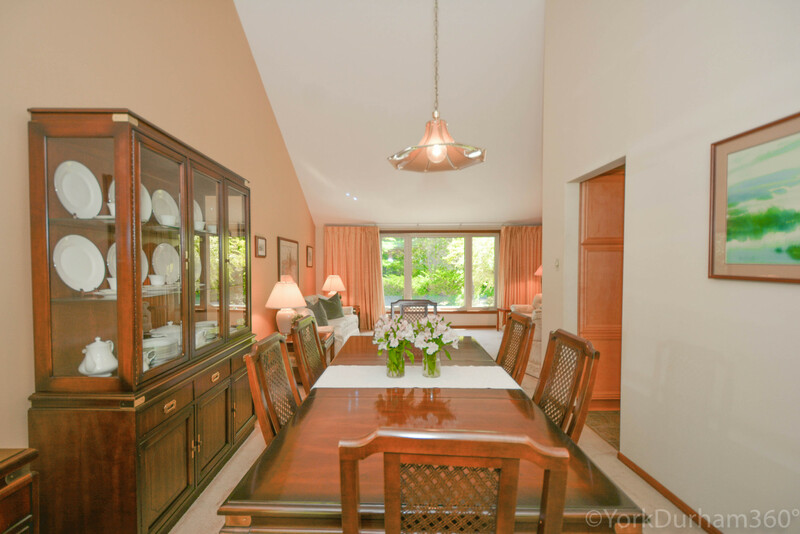 On The Main Level Of The Home, There Are Large Principal Rooms With Cathedral Ceilings In The Living Room, Dining Room And Kitchen. 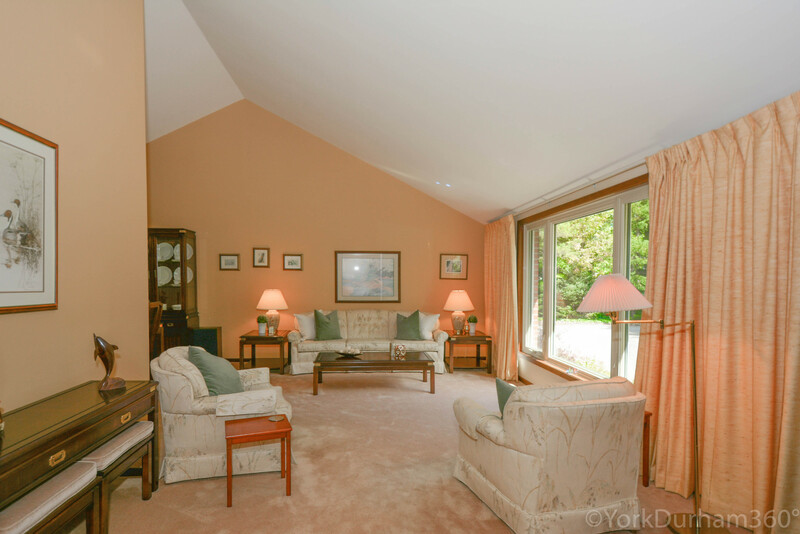 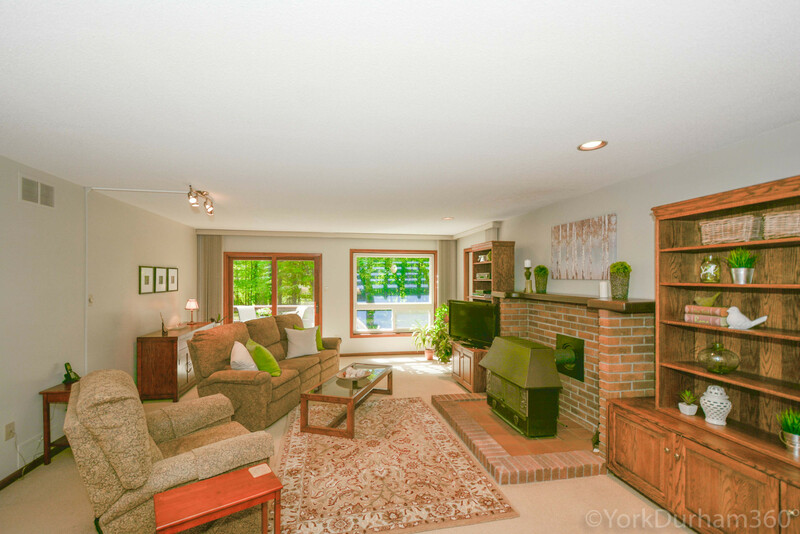 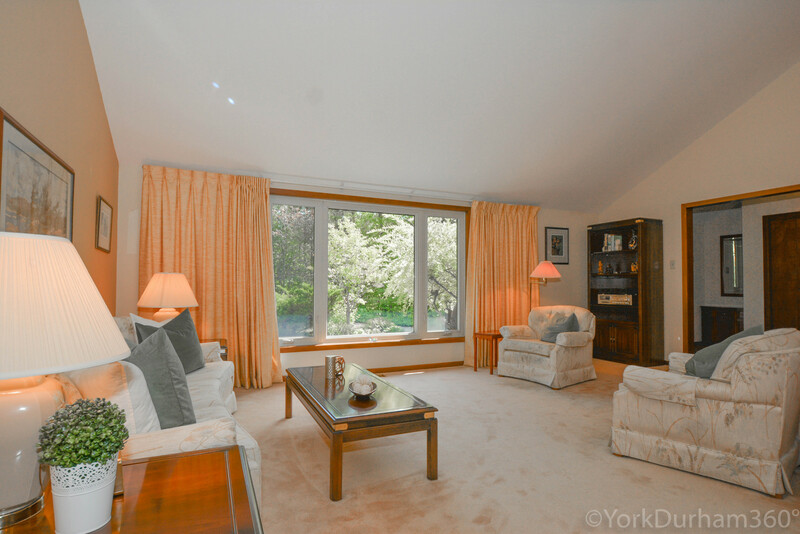 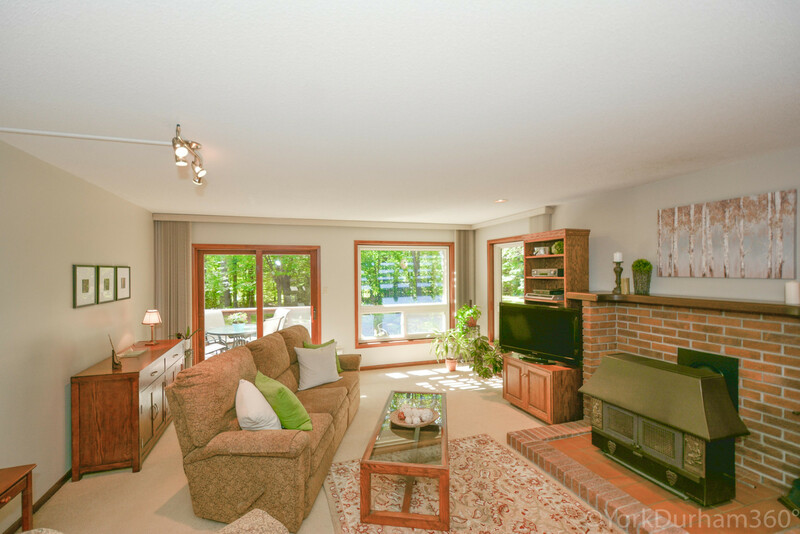 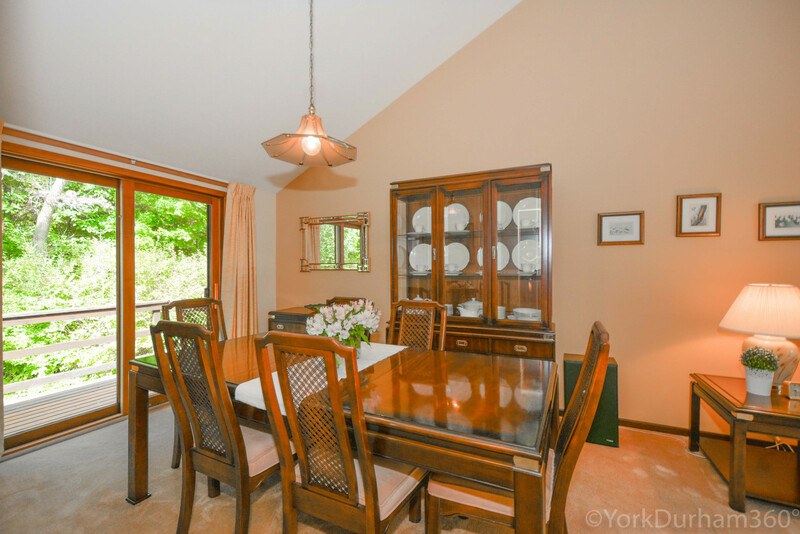 The Sunken Family Room Has A Commanding View Of The Outdoors Through The Large Windows With Access To The Side Deck. 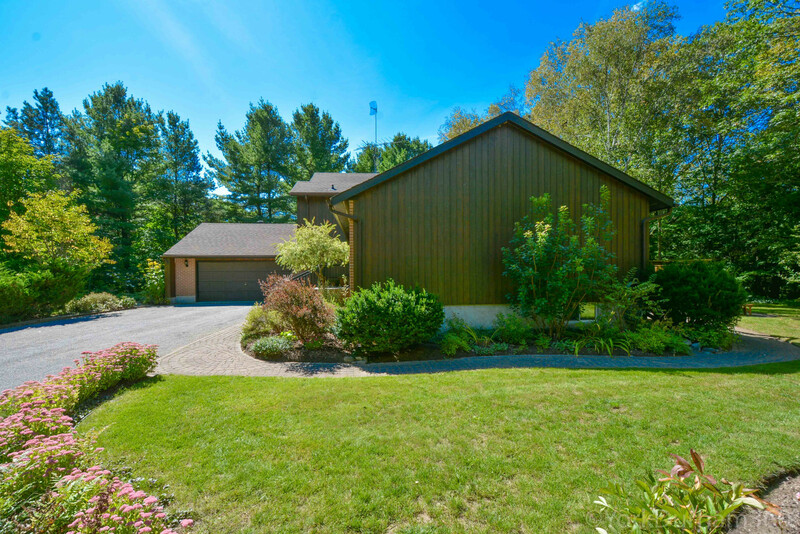 The Attached Garage Is Wider Than Standard 2-Car Garage Allowing For Easy Parking Of Large Suvs. 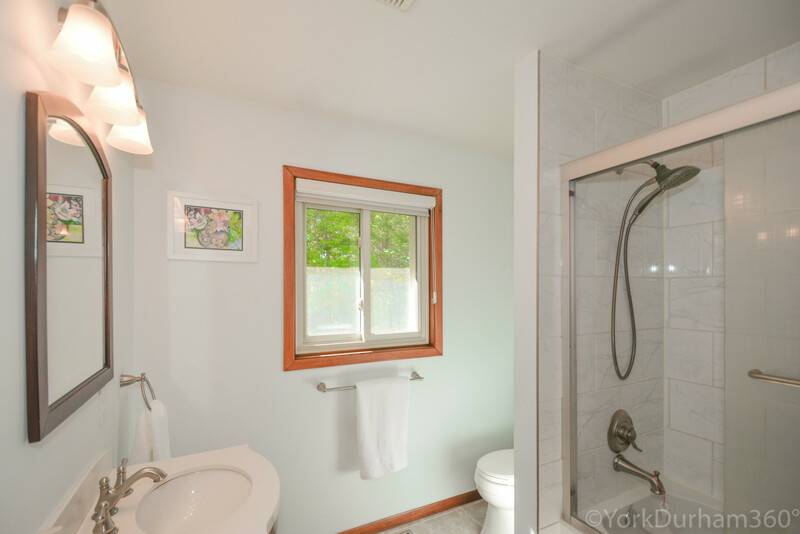 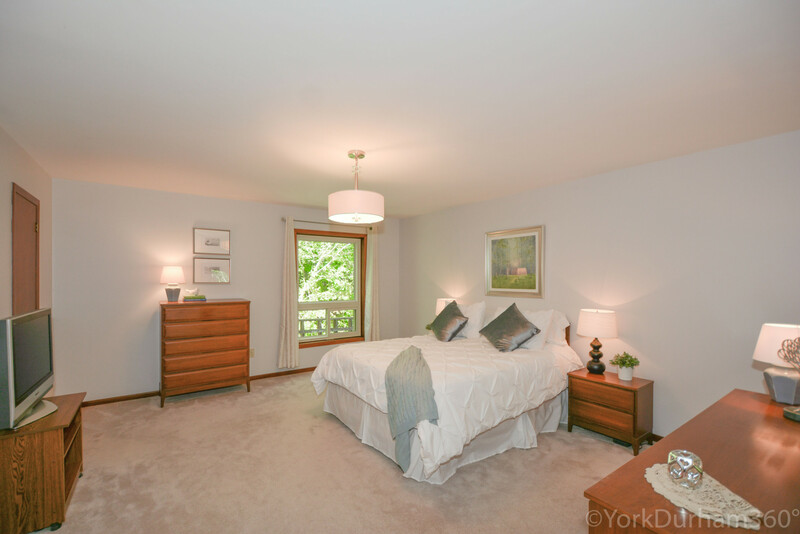 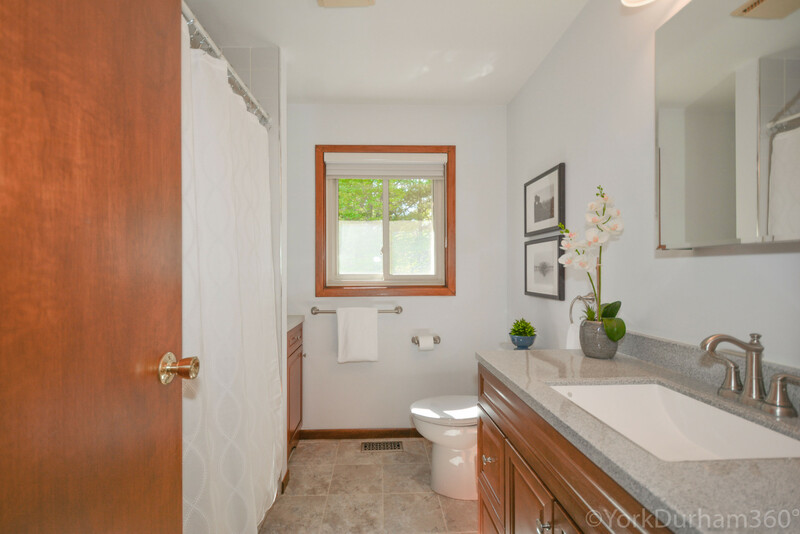 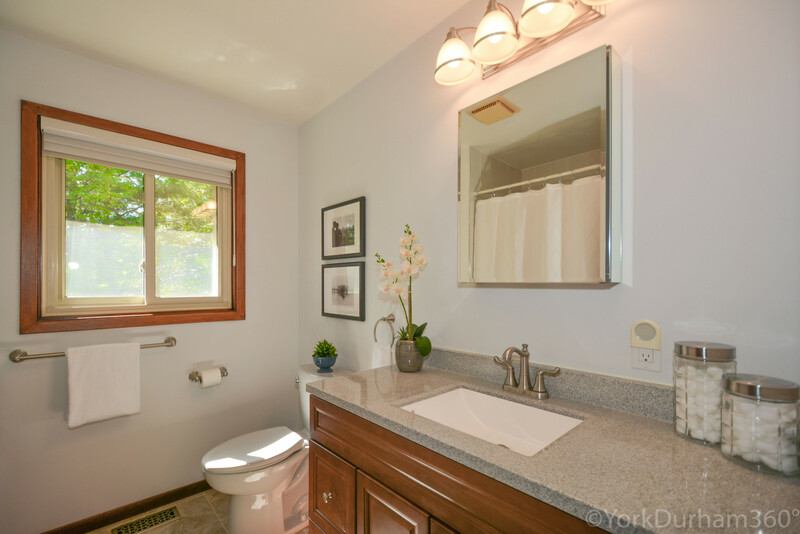 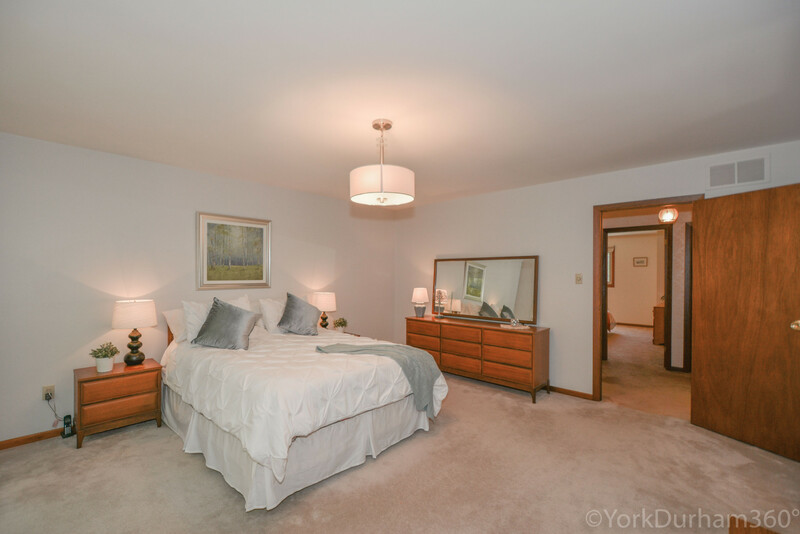 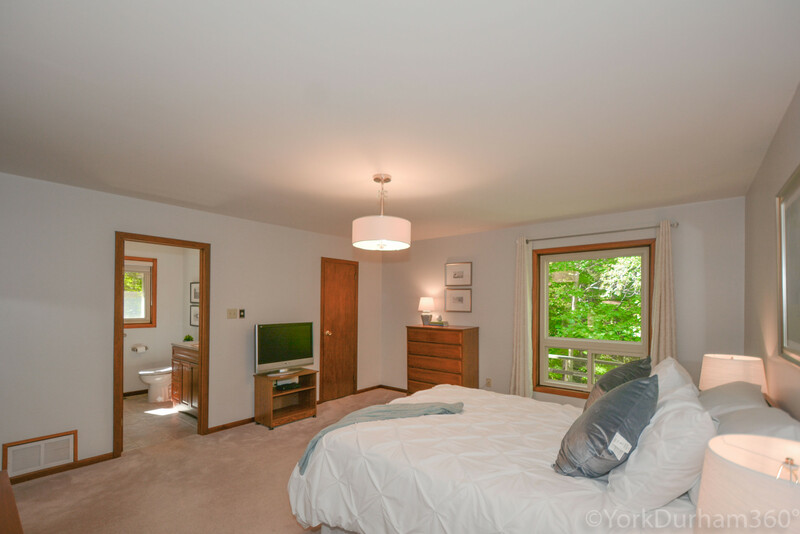 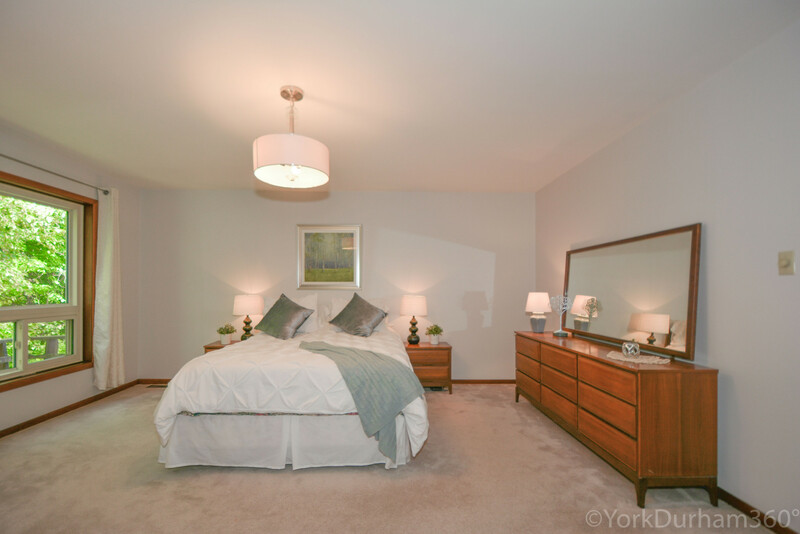 The Second Floor Features A Huge Master Bedroom Room With An Updated 4 Piece En-Suite Bathroom And Walk-In Closet With Elevated Views Of The Outdoors. 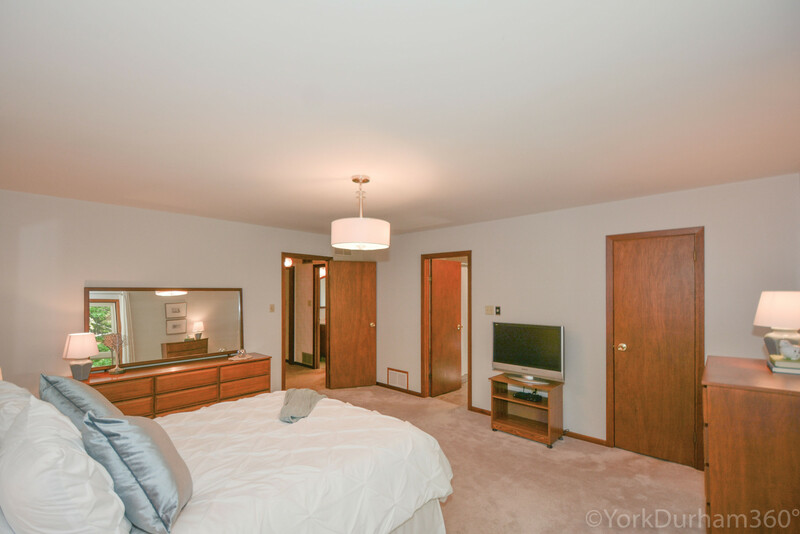 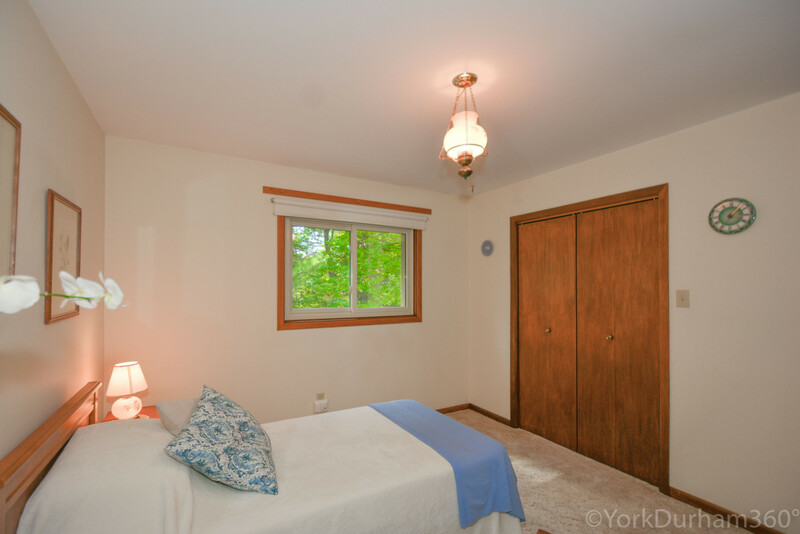 The Other Two Bedrooms Have Their Own Closets, Respective Views And Share An Updated 4 Piece Bathroom. 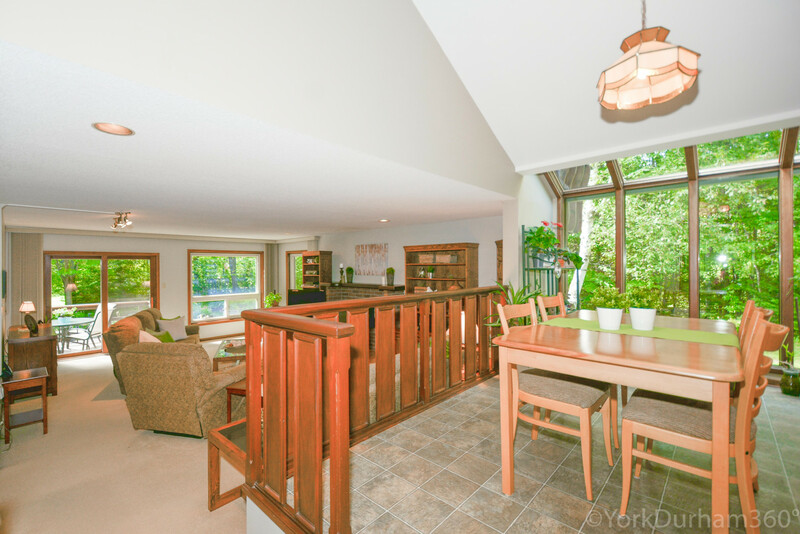 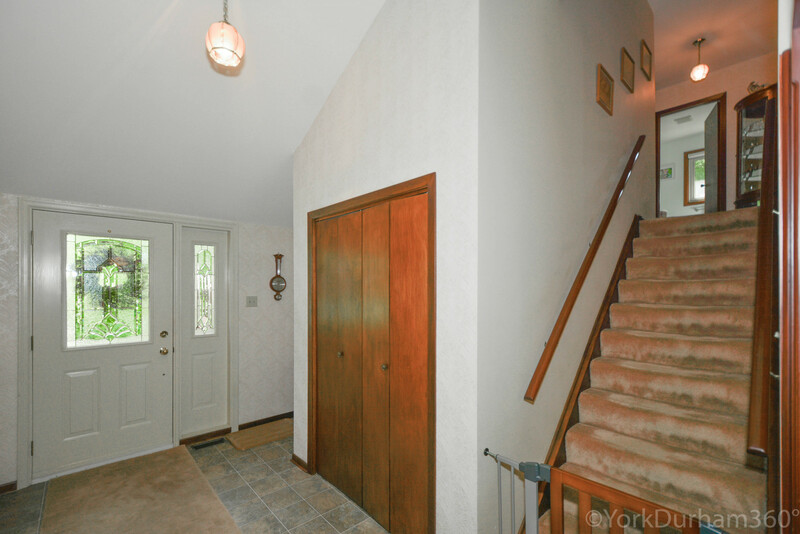 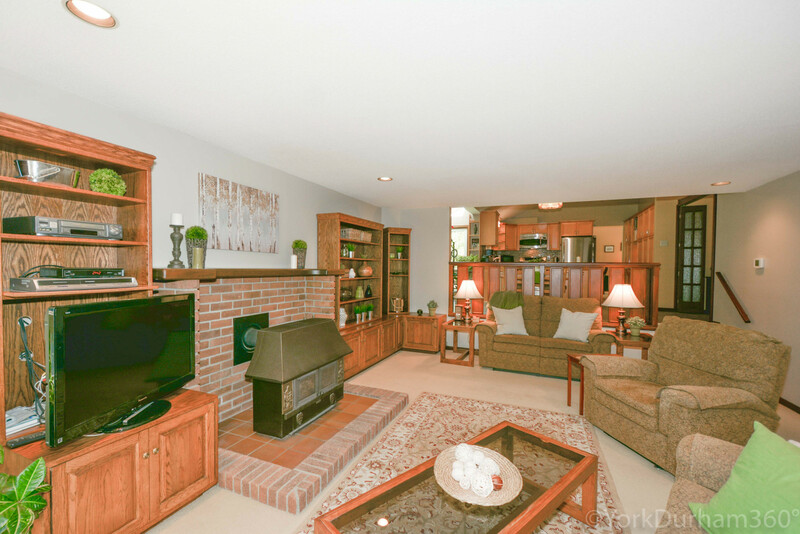 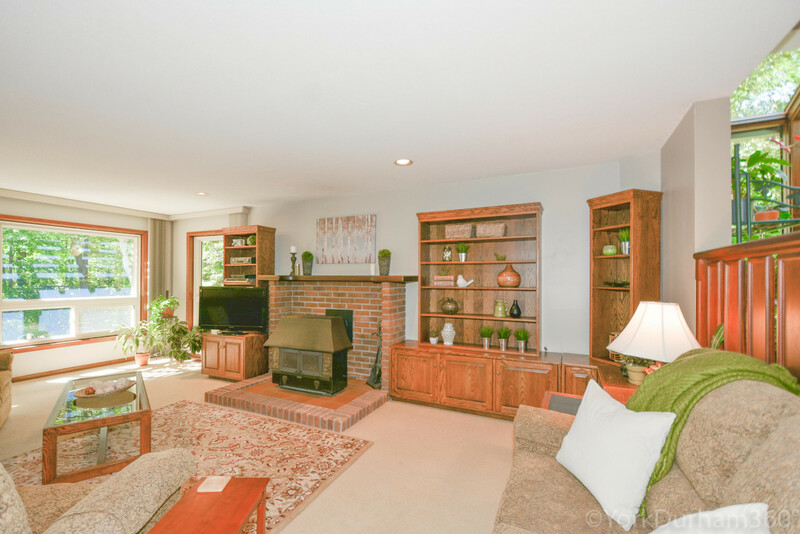 The Finished Basement Has A Split Level With An Large Open Area Suitable For Entertainment And/Or Recreation As With Its Great Ceiling Height, Many Windows And A Gas Fireplace. 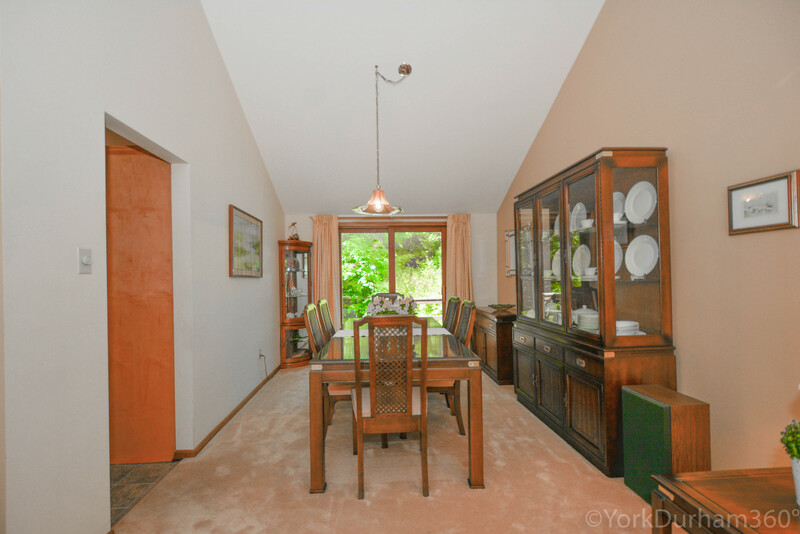 There Are Also Other Rooms Including And Office, Gym, Storage And Indoor Workshop. 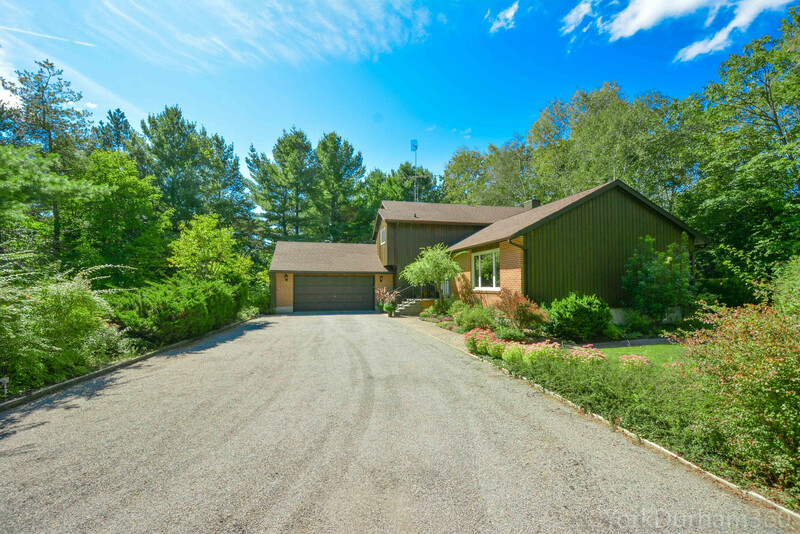 Accessibility To Shopping Restaurants And Schools Are Within 5 Mins Drive Via Highway 47. 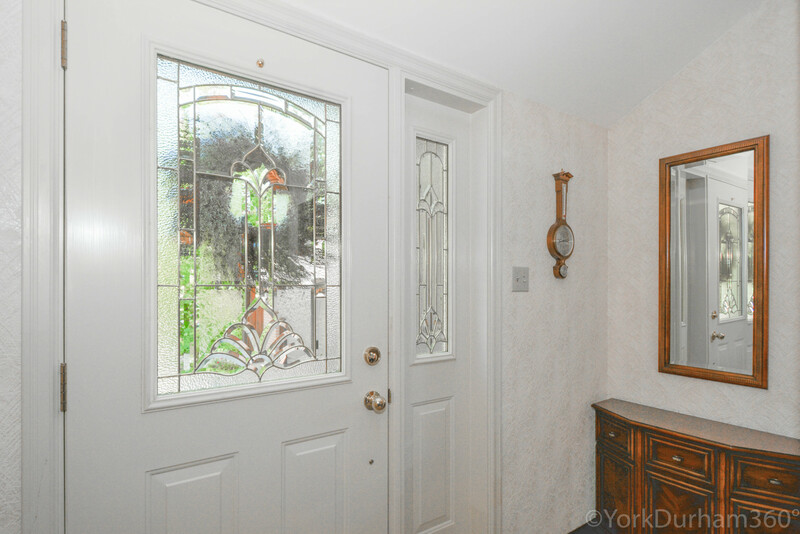 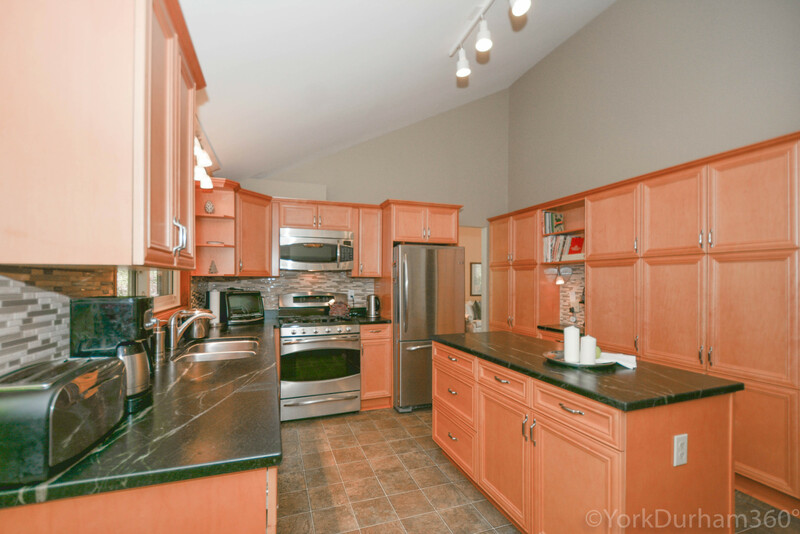 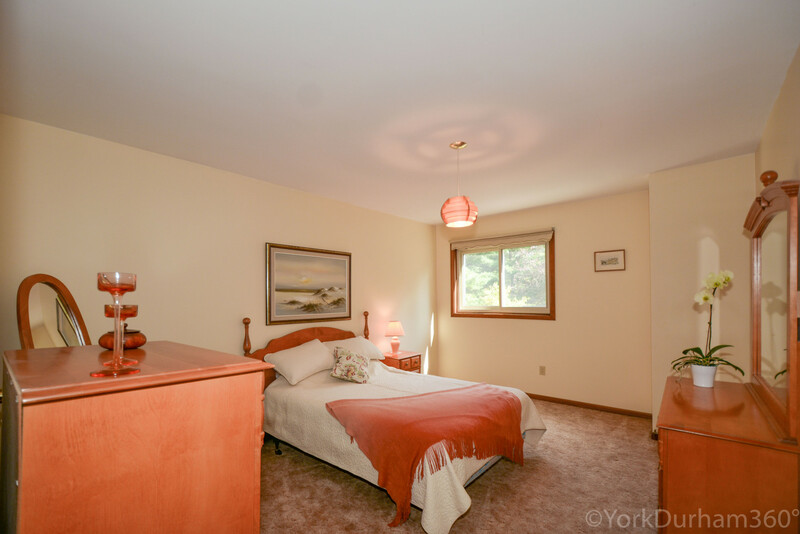 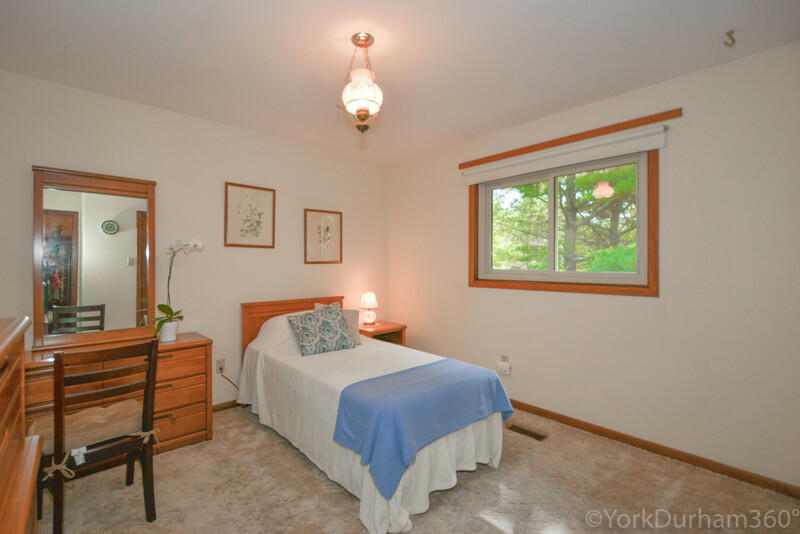 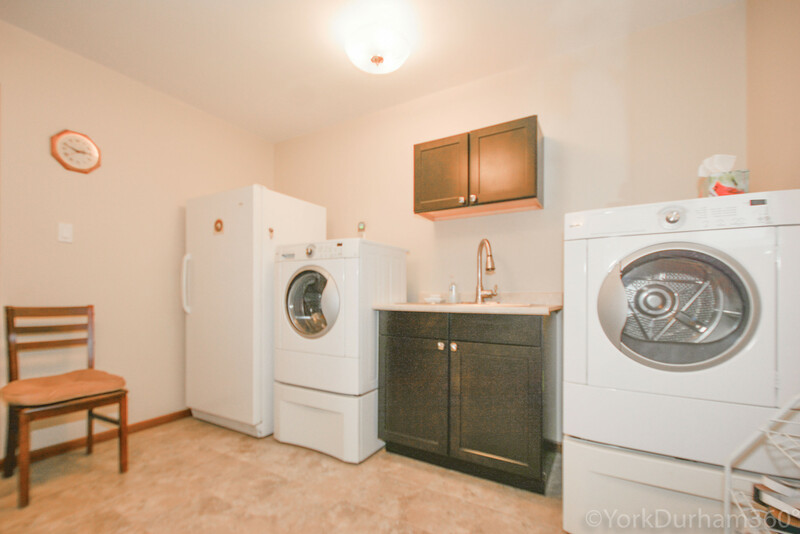 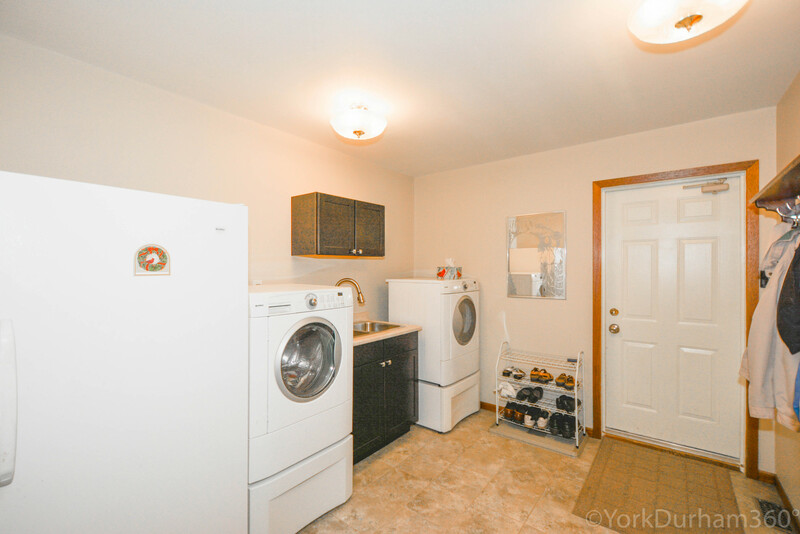 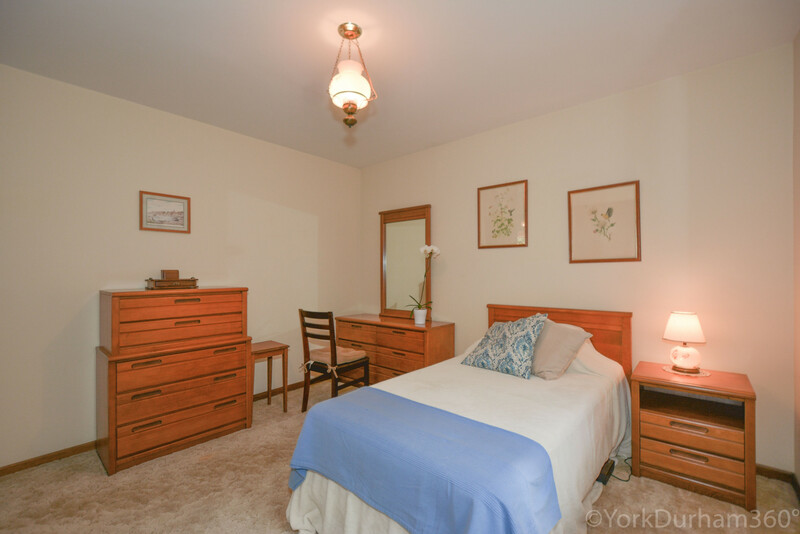 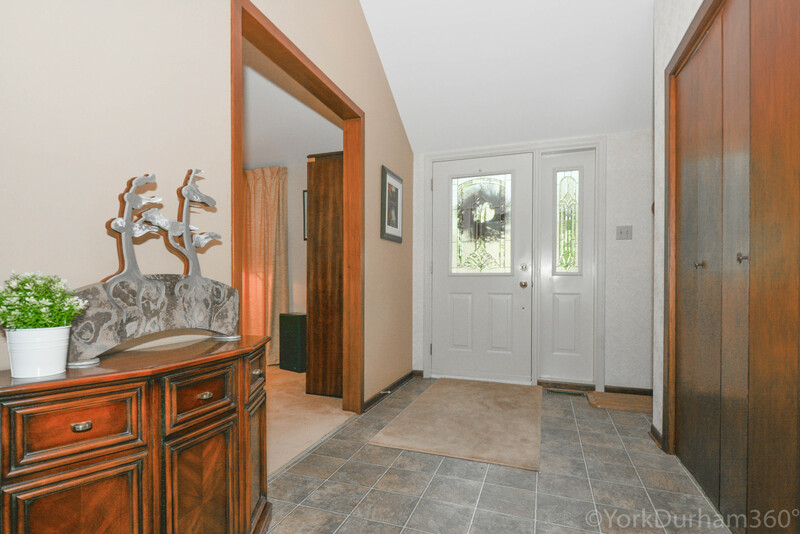 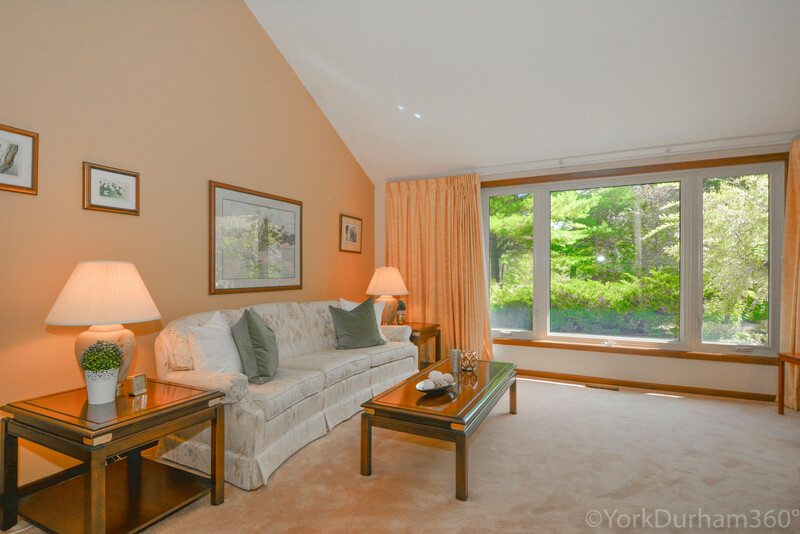 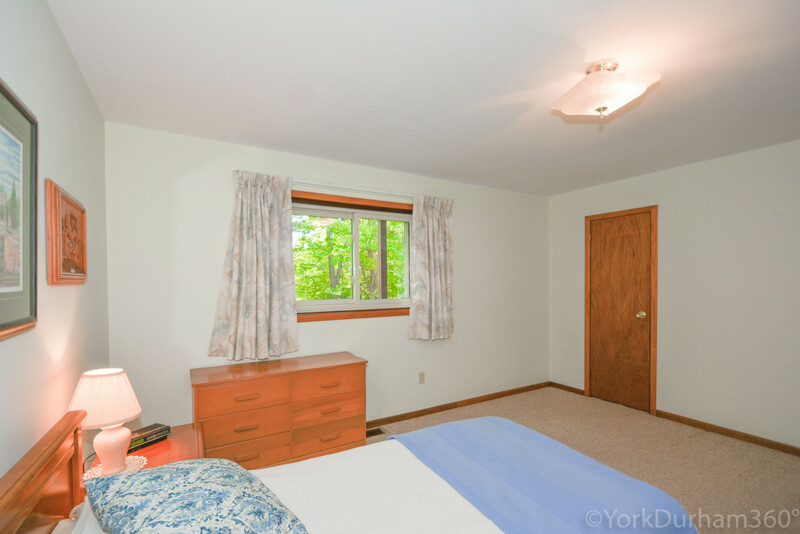 Easy Access To Both 404 And 407 With About An Hour To Toronto Or The Pearson International Airport. 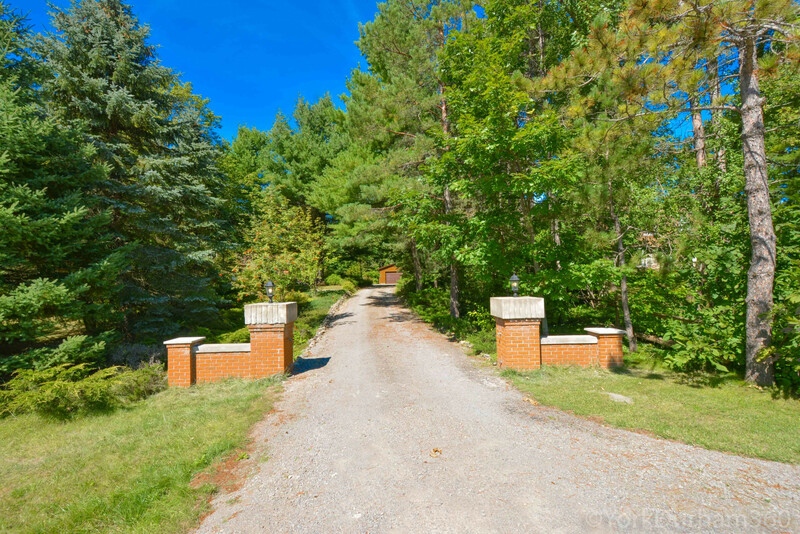 With The Newly Built Go-Train Station In Linconville Its Now Just Under 15 Minutes To Catch The Train To All Its Stops Including Union Station.